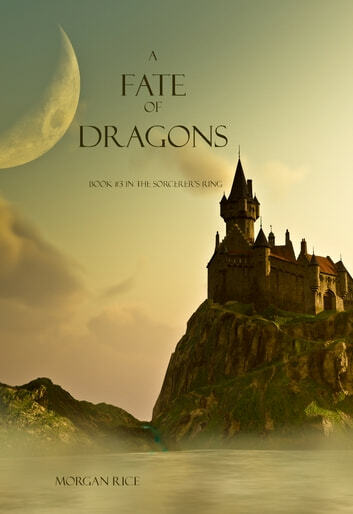 With its sophisticated world-building and characterization, A FATE OF DRAGONS is an epic tale of friends and lovers, of rivals and suitors, of knights and dragons, of intrigues and political machinations, of coming of age, of broken hearts, of deception, ambition and betrayal. It is a tale of honor and courage, of fate and destiny, of sorcery. It is a fantasy that brings us into a world we will never forget, and which will appeal to all ages and genders. It is nearly 70,000 words. Books #4--#17 in the series are now also available! Very good jammed pack from beginning to the end. I enjoyed everything. Great story and good writing by Morgan Rice. Good for all ages. Book#3 did not dissappoint. As I got further along, the more I couldn`t wait to read more. I find myself on an unexpected adventure on the edge of my seat anxiously awaiting what`s to come. This series is great. I couldn't stop reading these books and now I can't wait for the next one.